I formulated some ExpediTom goals I want to achieve this year. Amongst others – catching this fellow here. Time flies. It’s already the end of May and I haven’t finished as much as I’ve liked to do. But I guess I’m not the only one. Anyway, it’s high time, to focus on some of the main points recorded below. Life goals are extremely useful because you won’t be indecisive if you have to choose what to do. You will always focus on your achievements. Therefore, I formulate some goals I want ExpediTom to accomplish. Having had a lot of funny stories and happenings with ExpediTom I decided to keep things going with this website for another year. The most important point for this decision is that I still enjoy writing a blog and being able to design my website a well as I want to improve my writing skills. Thus, my fist aim is to keep up the work with ExpediTom for another year and I’m already curious what’s coming next. But this remains to be seen. Nr. two of the ExpediTom goals I set is to finish the movies of my travel in 2015. 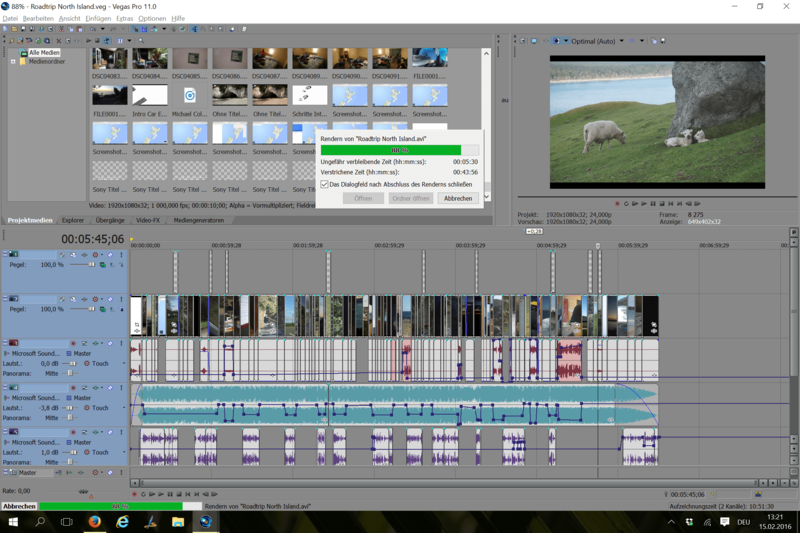 This means to cut as far as I’m concerned now three more movies. One about fly fishing in New Zealand, another about Thailand and the last to sum up this travel. But this may change in different ways. Among others I’m thinking of some other short movies about fly fishing but more on that on a later occasion. The third target is to catch a brook trout. Given I wasn’t able to catch a brook trout yet I really want to catch one of these elusive fish which are in my opinion one of the most beautiful. Let’s see whether I find them or not. Braurup Brook Trout (credits by Hotel Bräurup Mittersill). The fourth of the ExpediTom goals is to explore more waters here in Switzerland. Having been fishing on the other side of the world, I realised it is highly necessary to explore the waters here more because they have so much to offer. Not only didn’t I fish all the waters included in my license yet, but also are there heaps of other waters in other provinces which are unknown to me. 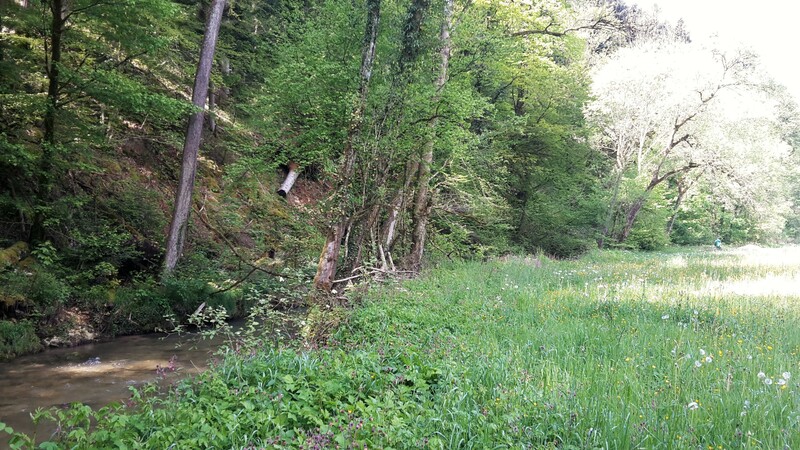 Small creek next to a meadow in a forest. Last but not least I want to find other film projects where I can expand the idea of ExpediTom. I think that the visual side of ExpediTom in particular is a key element of this website and makes it a lot more comparative to any other blog. Additionally, producing movies is one of my favourite leisure activities, despite obviously fly fishing. What are your goals for 2016? 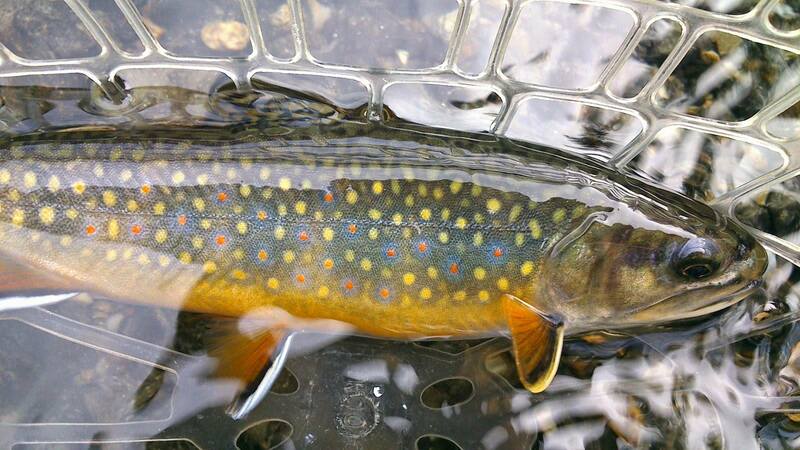 Do you have any recommendations on where to catch a brookie? Do you have film projects for ExpediTom? What do you think about my ExpediTom goals?